Not every romantic dinner has to involve long waits at fancy restaurants. Sometimes a night in with your favorite finger foods is just what a couple needs to reconnect. Celebrate your love with a gourmet wine hamper made for two. 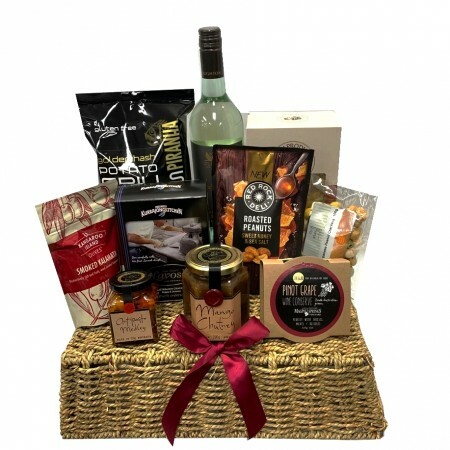 Your recipient will receive a bottle of fine Australian White Wine, along with a selection of irresistible gourmet snacks like Olives, savory Biscuits, Piranha Potato Grills, and more. Celebrate their Birthday, surprise Dad on Father's Day, or treat your love to Australian Gourmet.